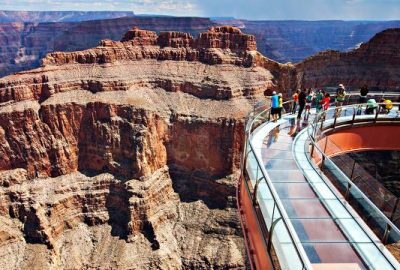 Explore Hualapai territory at the West Rim of the Grand Canyon by helicopter! Sit back, relax, and enjoy the amazing views from Mustang's ECO-Star helicopter. Enjoy the 'Entertainment Capital of the World'; from the best view possible - the sky. Discover why Las Vegas is called the "City of Lights" as you see it from the best vantage point possible - the sky! Enjoy an extensive flight below the Rim of the Grand Canyon!